The previous post on Targets, Learning Gaps and Flight Paths looked at how targets should be used to generate “gaps in learning” between a student’s current attainment and future attainment. It develops a line of thought that targets need to be agile, flexible and adaptable to take account students different flight paths. Targets are not helpful as accountability measures. I understand teachers’ concerns when they say that the problem with flight paths is children’s learning isn’t linear. It’s important to understand that the flight paths aren’t linear either; it is just the tables that are. The tables take learning over an extended period of a year, key stage or whole school experience and break this up into convenient and often similar size chunks as a way of looking at expected or better than expected progress. 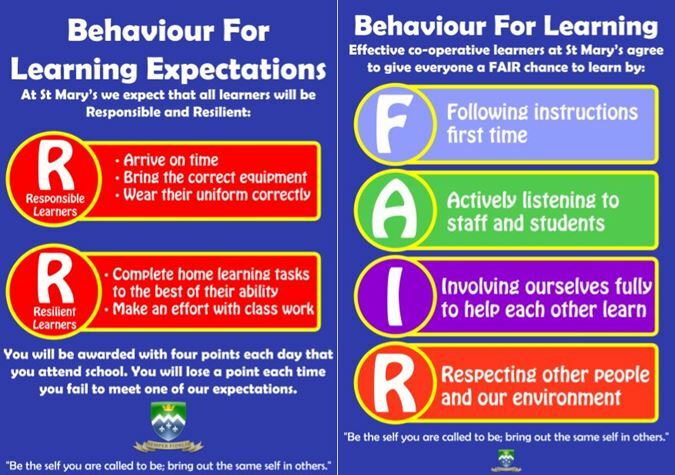 However, children don’t always do what we expect and it is important to pick this up during the learning process and either intervene to close the gap in learning or extend the targets to re-create a gap in learning. 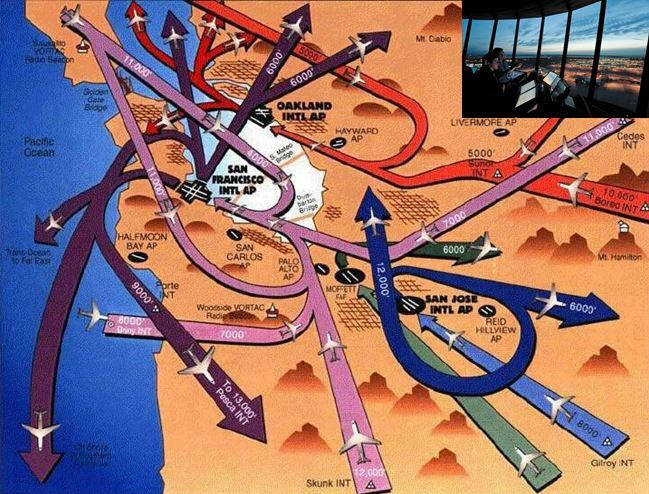 Changing Flight Paths – Secondary Ready? The term “secondary ready” is often used to describe students who enter a secondary school with “a good level 4” namely a 4B. Expected progress for these students, if achieved, takes them to a relatively secure grade C at GCSE. However, the conversion rate from a level 4C, at Key Stage 2, to a GCSE grade C is 49% for GCSE English and 55% for GCSE Mathematics (2012 national data)and the expected progress of three levels targets for students entering on a level 3 is a GCSE grade D which is not exactly aspirational or motivating. Many schools are now looking to accelerate the learning of students in the first part of Year 7, that is deliberately change their flight path and trajectory, through targeted intervention. 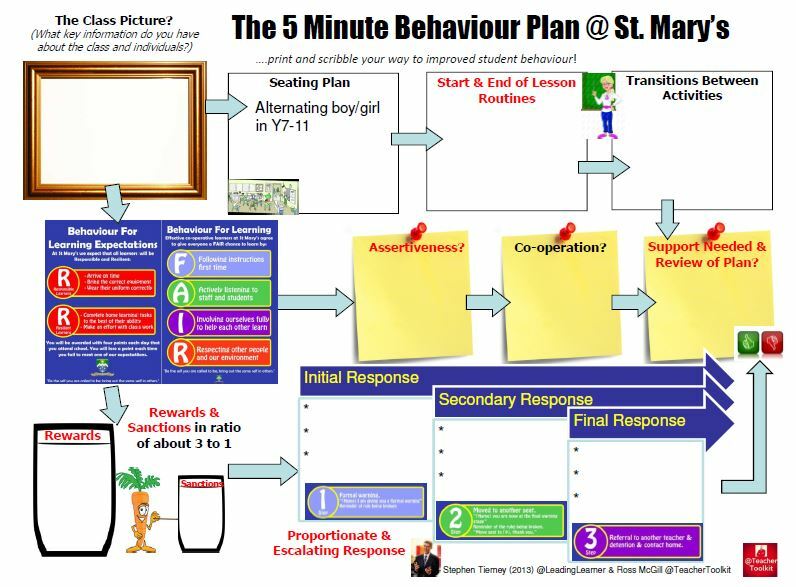 Our whole school “minimum” target setting based on ten sub-levels progress, two sub-levels in each year from Year 7 to Year 11, needs to be re-thought in terms of students making more accelerated progress much earlier. We need to intervene in Year 7, to change a student’s flight path, by deliberately seeking to address issues and gaps in learning, for those students who entering the College at levels 3B, 3A & 4C. This can help redirect them towards a flight path to achieve a 6B at the end of Year 9. 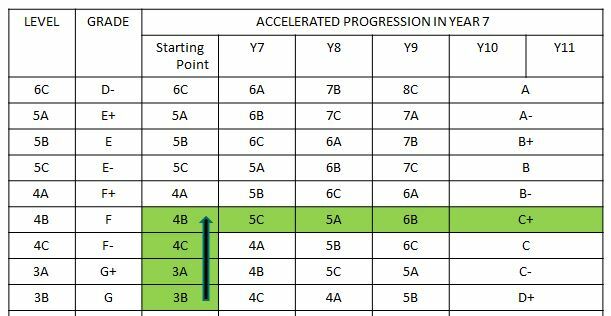 Maybe 6B should be renamed the new “Key Stage 4 Ready” level as the conversion from a 6B at the end of Key Stage 3 to at least a GCSE Grade C is very high. To achieve this we have introduced “Passport Maths” from the National Mathematics Partnership for students in the Christmas Term of Year 7, likewise with a new Literacy Intervention Programme. We wait to see what the impact will be. Due to “losing” our additional teaching capacity, an extra Mathematics teacher and English teacher, one to maternity leave and one to a late external promotion, we are looking to increase capacity with Numeracy & Literacy Intervention Supervisors who will be taking small groups (3/4 students) a few times a week to accelerate the students’ progress. Building on the idea of “Passport Maths”, why not introduce Passport Science or RE or History or Geography as part of the teaching programme in the first term of Year 7 with a supporting focus on developing literacy, numeracy and learning skills. We are working on this, we are not there yet. We may also need to think again about flight paths for the more able as even our four levels progress that targets a student at level 5A on entry towards a GCSE A grade may not be sufficiently challenging or aspirational. What would it look like if we challenged these students to make an extra sub-levels progress per year by changing the Key Stage 3 Curriculum to increase the rate of expected learning and our aspirations for these academically able students. The number of targets, at the various levels, at the end of the key stage should be identical for PE and the Creative subjects as they are for the academic subjects. Outcomes matter so no lowering of the bar. 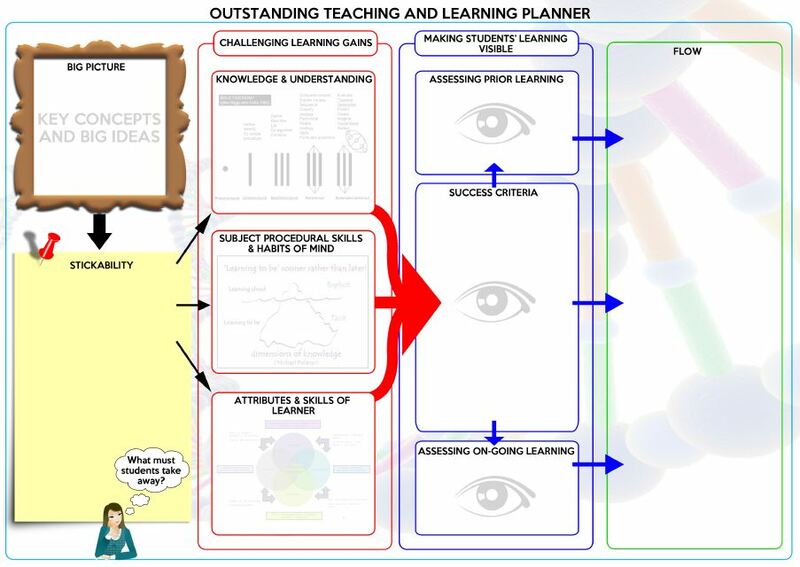 PE and the creative subjects could produce their own baseline for students at the beginning of Year 7. The subjects could then alter which students would be expected to achieve which end of key stage level to match the end of key stage profile expected of the other subjects. 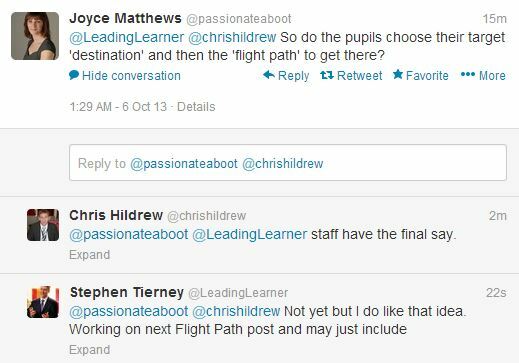 If you’ve not read Chris Hildrew’s blog post on “Assessment in the New National Curriculum: What We’re Doing” it is well worth looking at but hopefully the idea flight paths are linear we can begin to put to one side. Where are you? This is the assessment that allows us to know where each student is starting their journey from. Where are you going? This needs to be considered in terms of the learning gains made over a period of time. What would be expected, what is beyond expectation and what is below? It also needs to be considered in terms of the actual knowledge, understanding, procedural skills, habits of mind and metacognitive strategies that are required for the student to move from current to future point of learning. Learning gap closed, target attained and so the process is repeated. I want to be clear about this – I’m only just thinking about thinking about the ideas below. It’s all Joyce Matthews’ (@passionateaboot) fault as she set off a lining of thinking, at least I think it’s thinking rather than just plain madness. What would it look like if students took control of their target setting process having totally understood the idea of flight paths and had a good working knowledge of the flight paths available? Now this fascinates me as we are moving into the realm of metacognition and self-regulation which is the place where micro personalisation really occurs. Referring themselves for “intervention” if they fell behind? 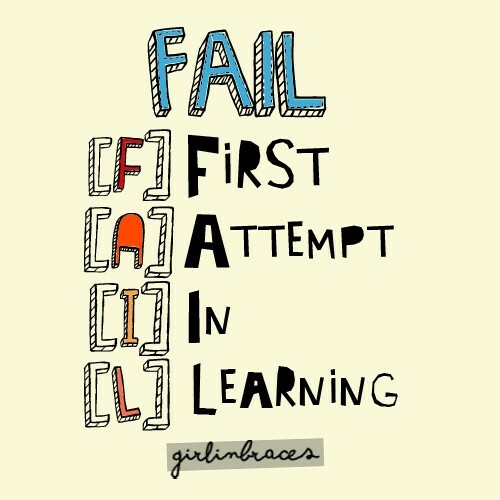 Planned, reviewed and amended their own learning as they took greater and greater responsibility as learners. We are entering a different World! Can I ask ‘how’ you track all your data? excel? Another system? Is it sophisticated enough to deal with this? 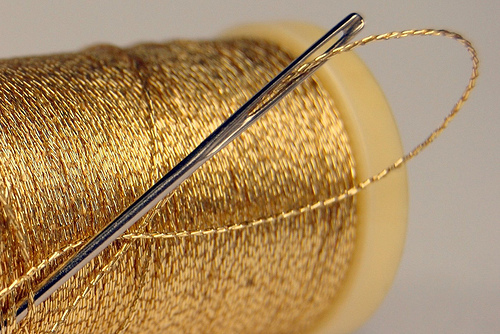 How do you know which ‘path’ of progress a student is making? 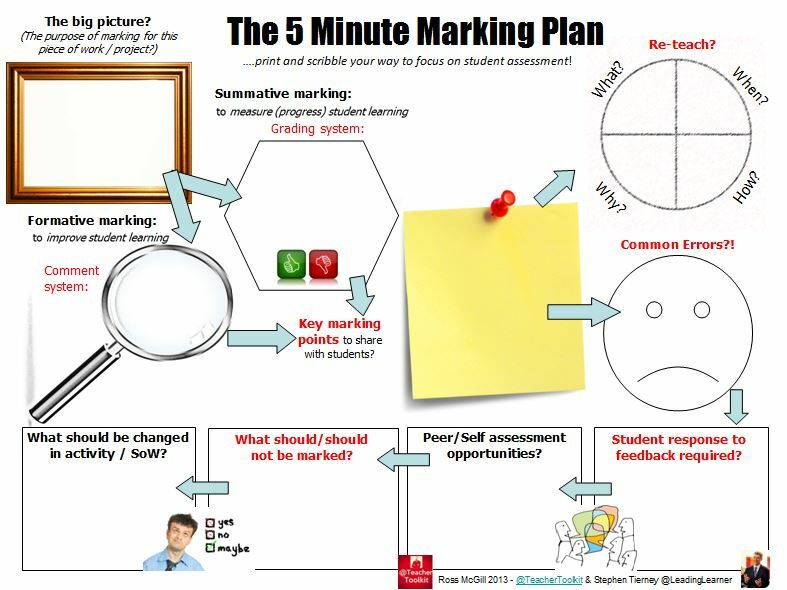 Do you track across ks3 & ks4? So the data profile for a student follows the whole path not just the relevant key stage? Targets are put into SIMS and staff enter data into it as well. Annually targets are altered, only upwards, if students exceed progress expected for the following year – hence don’t hold people accountable against the newly revised targets. Data follows the student from Key Stage 2 all the way to GCSE. The big issue for us was students not making required progress in Key Stage 3 because the curriculum wasn’t demanding enough – we’re collectively working on this. Critically the data exposed this for us. Remember the “ideas” in this second post we are still working on and are pretty new but already our ability to track, support, challenge and intervene have all gone up a level. This is really interesting. Out of curiosity, do you set your students for English and Maths in Y7? Key Stage 3 – we have four ability bands – determined by English & Maths results – then English & Maths set the two classes within each band if they want to. At Key Stage 4 we have two bands – determined by whether a student goes to local FE College for vocational options we can’t offer – and english & Maths set separately within those bands. Hope that helps.